Valerie joined Cougar Global in August 2015 and is responsible for compliance matters. 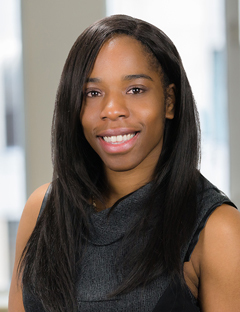 Prior to joining Cougar Global, Valerie worked at CIBC Asset Management in Montreal and Guardian Capital LP in Toronto in diverse roles including client servicing, portfolio trading/implementation, performance measurement and compliance. She graduated from Concordia University with bachelor’s degree in Commerce with major in Finance and obtained a graduate certificate in Taxation from McGill University. She has successfully completed the Partners, Directors and Senior Officers Course. Valerie is also a CFA Charterholder. She is a volunteer for the Canadian Breast Cancer Foundation. She is fluent in French.